For more than two decades, Samson Custom Upholstery has earned the reputation for turning battered and torn couches, benches, ottomans, chairs and more, into beautiful, showroom-worthy furniture. With great customer service, low prices, and quality work, many of Samson’s customers are either repeat clients or referrals. 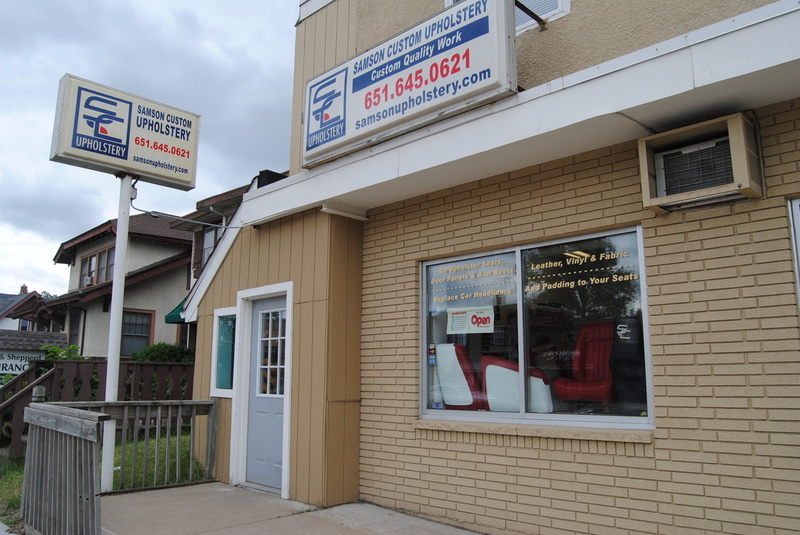 Established in 1993, we at Samson Upholstery have done upholstery work on cars, boats, motorcycles, homes, restaurants, hospitals, hotels, churches, and offices in the Twin Cities metro area. We even upholster antique furniture and restaurant booths. Don’t buy new, give your old leather and/or upholstery pieces a new lease on life!